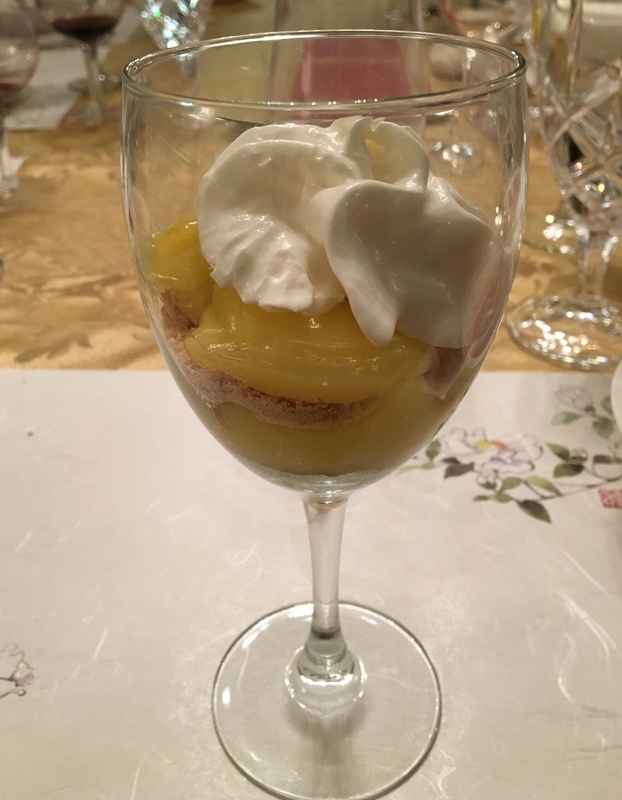 We adapted Grandma’s recipe for Lemon Pie Filling to create single-serving desserts for a Christmas party. Add ingredients to mixing bowl and whip on high speed until thick (about 3 to 5 minutes). Allow lemon filling to cool to room temperature—or below (refrigerate until cool)—before creating the layered desert. Add Graham Crackers to a plastic bag then crush and roll with a rolling pin until finely crumbled. Mix in about 2 tablespoons butter—or butter substitute— for each cup of crushed graham crackers. Place alternate layers of lemon filling, crushed graham cracker mixture, and whipped topping into a clear bowl. Chill and serve!